There are so many wonderful organizations throughout the world serving their local communities through animal rescue and education efforts. We love building relationships and collaborations with these animal rescue organizations. Midwest BunFest is a helpful way for OHRR to build a community of these animal rescue organizations, both small and large. We hope to create a network of like-minded groups in order to collaborate on rescue efforts, share best practices, provide support, and partner on events. OHRR believes that by meeting and working together, animal rescue organizations will continue to grow, based on shared knowledge and experiences. This will allow each organization to reach beyond their local communities and contribute to the well-being of even more animals. Buckeye House Rabbit Society is a chapter of the national House Rabbit Society, serving Ohio since 1997. They are an all-volunteer non-profit organization that rescues abandoned rabbits while educating the public on proper care. Bunnies United Network is a non-profit in the Chicagoland area and the only chapter of the House Rabbit Society in Illinois. Their mission is to educate rabbit owners and assist area shelters by providing rabbit publications, consultations, and educational events. They also assist local shelters with fostering and socializing while providing volunteer support as needed. Their goal is to increase education on rabbits and proper rabbit care in order to reduce the amount of unwanted rabbits in shelters. Bunny Lu Adoptions, Inc. is an all-volunteer, not-for-profit rabbit rescue and education organization located in Northern Virginia. They are dedicated to educating people in their community about the joys of rabbits as indoor companions while promoting care that will give those rabbits the best chance at a happy, healthy life. Bunny Lu also provides temporary foster care to abandoned and neglected rabbits and arranges adoptions into loving, forever homes. Clover Patch Sanctuary Inc. is a 501(c)3 Non Profit charity pledged to observe and practice the 3 "R's" as they call them: Rescue... Rehabilitate... Re-home. Meaning that Clover Patch Sanctuary rescues injured and discarded domestic rabbits and guinea pigs, provides them with loving care and support and places them in "forever" homes. They also educate the general public on rabbits and rabbit care. Clover Patch Sanctuary is made up of volunteers, families and dear friends that work together harmoniously to rescue domestic rabbits & guinea pigs. Compassion for people & animals is their number one priority! Friends of Rabbits is an all-volunteer, non-profit rabbit rescue based in the Washington DC/Baltimore greater metropolitan area. They rescue, rehabilitate, and adopt out more than 100 rabbits each year. Most of their rescued rabbits come from euthanasia lists at local animal control facilities. Frisky Ferrets, Fuzzies, & Feathered Friends Rescue & Sanctuary is located in North Lima, OH. They are dedicated to the practice and promotion of the idea that all life is deserving of love and proper care. They provide individualized care for every animal at their facility and help match them with the perfect family. 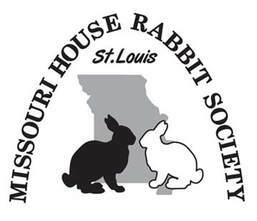 Harvey's House Rabbit Rescue and Sanctuary is the Kentucky chapter of the House Rabbit Society. They have been helping abandoned, neglected, and abused rabbits since 2007. Their goal is to find all of their rescued rabbits loving forever homes, but if they cannot, for any reason, they will forever be loved and cared for at their sanctuary. House Rabbit Society is an international, animal welfare organization with headquarters in Richmond, California. Their mission has two parts: to rescue abandoned rabbits and find permanent adoptive homes; through education they seek to reduce the number of unwanted rabbits -- and to improve bunnies' lives -- by helping people better understand these often misunderstood companion animals. Since 1988, over 40,000 rabbits have been rescued through House Rabbit Society and their chapters in the US and abroad. ​The Humane Society of Greater Dayton is a non-profit company, funded completely by individual donations, that started back in 1902. They are Dayton’s largest no-kill animal shelter and service all types of animals. They also fight animal cruelty and neglect as the area’s only animal shelter that has a full-time humane agent investigating hundreds of cases each year. ​Luv-N-Bunns Rabbit Rescue offers rescue and placement for bunnies that are in need in the Philadelphia area. They take in rabbits that are no longer wanted, have been abandoned, and/or have been abused. They find them all loving homes while educating their community on rabbits and proper care. Magic Happens Rabbit Rescue is a non-profit centered in Baton Rouge, LA. Their mission is to rescue and find loving homes for unwanted and abandoned rabbits as well as those in animal control facilities. They work to educate their community through presentations and events on proper care so that rabbits and their owners will have a happier and healthier life together. Ohio House Rabbit Rescue is a non-profit, founded in 2009 in Columbus, OH. Their mission is rescue abandoned pet rabbits, offer a robust adoption program through the Ohio House Rabbit Adoption Center, and provide educational resources on the proper care of rabbits as indoor companions. They strive for a community where all pet rabbits live indoors as companions with access to proper diet, habitat, and regular veterinary care for the duration of their life. Pampered Pets Animal Rescue is a non-profit organization founded in 2007 in Cincinnati, OH. Their organization helps rescue abandoned, neglected and unwanted dogs, cats, and rabbits. Their goal is provide all of their rescued animals a new chance, new health, and new home. Peaceable Kingdom was founded in 1998 in Whitehall, PA. They rescue and house homeless and abandoned animals while providing medical services through their veterinary clinic, such as low cost spays/neuters. River Road Rabbit Rescue is a non-profit located in Athens, OH. They rescue abandoned, neglected, and abused rabbits in their area and find them loving, forever homes. The Bun Hatter Sanctuary rescues old and disabled bunnies in need. They have a shop that benefits the bunnies and supports all of the work they do. In their shop they have an assortment of bunny related items for all bunny lovers consisting of books, cards, jewelry, and more! The Pipsqueakery is a non-profit rescue and sanctuary located in Bloomington, Indiana. They focus on the rescue of abused and neglected rodents and rabbits, especially those with medical and behavioral special needs. They adopt these animals out to loving, forever homes and care for those that just need a place to live out the rest of their lives. Wonderland Rabbit Rescue is a non-profit that rescues abused, abandoned, neglected, and suffering rabbits and other small animals in their community. They are a small family and foster-based rescue in Melvindale, Michigan.